This conservation resource was created by Sohjeet Toor, Moskan Khan, Nitisha Dhir, and Ashleen Bajwa. It is shared under a CC-BY 4.0 International License. A change in consumer behavior is increasing demand for coffee and single-use coffee cups, which has become a significant concern for our environment. Every year billions of single-use coffee cups are being used and thrown into the landfill, and the cost of these disposable cups is not paid immediately by the customer who consumes the coffee. In this paper, we will discuss ecological and social costs of single-use coffee cups and offer ways we can combat the problem using examples of changes in different places. This paper will begin with an overview of the life-cycle assessment of the single-use coffee cup. Next, the ecological and social costs will be analyzed individually. Furthermore, the paper will provide information on how other countries around the world are contributing to combating the adverse social and environmental effects. 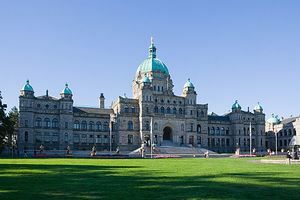 Lastly, the article will conclude with a four-part recommendation to the provincial government of British Columbia, that will discuss educational programs, laws, and regulations, investment from venture capitalists, and initiatives from local universities. To understand the scale of the ecological and social costs of the single-use coffee cups a life-cycle assessment is used to identify critical challenges. The Life-cycle of a coffee cup has three distinct stages extraction of raw materials, material processing and manufacturing, and disposal. Lumber. By Øyvind Holmstad via Wikimedia Commons. CC BY-SA 4.0. The composition of a disposable single-use coffee cup is a paper layer and polyethylene layer. The polyethylene layer is a common plastic that is used to line the inside of the coffee cup to maintain its shape and allow it to be water and heat resistant. Additionally, the polyethylene layer renders the cups unrecyclable as it is difficult to separate the plastic lining from the paper layer . The paper layer is composed of paperboard, to meet the demand for paper cups each year 20 million trees are cut down from regions such as Brazil and Russia . Wood Chip Delivery Truck. By David Stanley via Wikimedia Commons. CC BY 2.0. Raw materials processing and manufacturing is the most energy-intensive process of the single-use coffee cup life-cycle. To convert one metric ton of raw materials into the finished product, it requires 9000-12000 kg of steam 960- 1000 kWh electrical power and 50m3 cooling water . 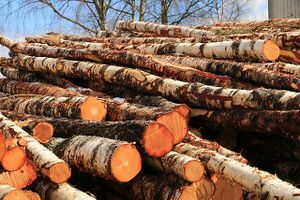 The process begins with the harvested trees getting transported by trucks to a debarking facility where industrial grade cutting machines are utilized to debark the trees. The debarked trees are transported to a second facility to transformed into tree chips. The tree chips are converted into pulp using toxic chemicals, and the pulp is laid out into thin sheets of paper . Materials processing and manufacturing requires an international supply chain and logistics operations. To transport raw materials in itself has an enormous environmental impact that contributes to the overall adverse effects of a single-use coffee cup. Landfill - the destination of many paper coffee cups. By Dhscommtech via Wikimedia Commons. CC BY-SA 3.0. In Vancouver 2.6 million paper coffee cups end up in the landfill each week. The disposal of the single-use coffee cups is the most complex issue of the life-cycle. The polyethylene layer renders it difficult to separate the plastic lining from the paper layer which renders the paper cups challenging to recycle. 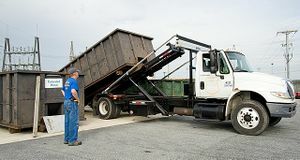 The fundamental issue is the lack of federal policies governing local materials recovery facilities (MRF) which has led to a systemic recycling problem. The local MRF often choose materials they will recycle based on economic incentives. Furthermore, the existing MRF operate with outdated processes and facilities that focus their capabilities on recycling traditional materials like paperboard, glass, aluminum, and plastic. Lastly, the most challenging aspect of the problem is few communities have access to curbside recycling programs that recycle paper cups . Forest floor. By Dieter Simon via Wikimedia Commons. Public Domain. In today’s market the grab and go concept of single-use coffee cups has become very popular. This method is not only easy but convenient for the general public, as we all live fairly busy lives. For many people, the use of these disposable cups has become an essential part of their everyday routines. These products are convenient without a doubt, but people are not considering the huge impact their take away coffee is causing as it gradually polluting our environment. 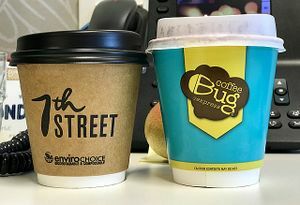 We usually don’t second-guess grabbing our coffee to go at our local coffee shop because we believe that these cups are recyclable. For the purpose of the consumers luxury, these cups are made in a way that makes them more suitable for us, but very unsuitable for our environment. For example “polyethylene is the chemical that is used to line the inside of the paper cup and as well as seal the seams of the cup, which enables the product to be heat and water resistant” . This resin is essentially plastic, which is accumulating in our landfill. These cups which make our daily lives that much easier are practically indispensable because the air, moisture, climate, or soil cannot decompose the cups naturally so it can be dissolved with the surrounding organic residues because it isn't natural! . The paper portion of the cup should not slip by either because it is made from paperboard, which is a pulp product that is most likely always bleached and is thicker than your average paper, making it very difficult to decompose. Not only are the cups themselves harmful to the environment as they are indecomposable but the manufacturing process itself negatively impacts the environment. Resources must be extracted from the earth to satisfy the conveniences people associate with these cups. “Since paper cups are made of paperboard, all of them, whether polyethylene coated or not, require lumber as their raw material”. This lumber then must be converted to pulp and then manufactured into paperboard which is sometimes even bleached depending on preference. This whole process has a lot of negative impacts to the areas where the lumber is extracted from. The logging practices utilized for raw material extraction are unsustainable, which often lead to slope instability, soil erosion, fragmentation, and habitat loss form the extreme disruption from logging . Additionally, clear-cutting requires stream alterations which contribute to flooding or droughts in the surrounding communities. The mass extraction of lumber leads to deforestation, due to the rapid release of carbon dioxide from clear-cutting into the atmosphere combined with the loss of forest to convert carbon dioxide into oxygen the deforestation contributing to the effects of global warming. Humans in the past have already altered the environment so harshly that we as the people of the present need to think about ways to get around unnecessary activities which are creating damage for the future generations. We need to eliminate the effects of this minuscule coffee cup which cup by cup is adding to the destruction of our environment. Unlike organic residues, which are able to decompose and benefit the ecosystem, these cups are unable to be broken down by soil organisms. Instead, they accumulate in our environment and negatively impact it. For example “plastic debris, laced with chemicals and often ingested by marine animals, can injure or poison wildlife” , “plastic buried deep in landfills can leach harmful chemicals that spread into groundwater” , and also “floating plastic waste, which can survive for thousands of years in water, serves as mini transportation devices for invasive species, disrupting habitats . In a twelve-month period, around 52 billion disposable paper coffee cups make their way out of coffee shops and fast food restaurants and into the landfill.Although the use of paper cups has numerous benefits, the cost of assembling, purchasing and disposing of these cups is costly and requires a huge amount of energy and water .The main reason behind the increased use of paper cups is the changing lifestyle and consumer preferences to convince. Whether it is America or Canada there is a growing love affair for the disposables. Faster pace lifestyles and increased dependency for on-the-go eating play a significant role in increased consumptions of disposables. However, the society has to absorb the negative impact of our convenient lifestyles. Drinking hot beverages on the go has become so popular in Uk, Canada, and the USA that the coffee shops in these countries hand out about 7 million cups a day, working out at more than 2.5 billion a year. However, only 1 in 400 cups is recycled. Additionally, the cost of these disposable cups is not paid immediately by the customer who consumes the coffee. Instead, such a cost is passed on to the environment, business, and the local governments. Consequently, it results in a two-fold effect. Firstly, it causes market failure because the costs of using a resource are not efficiently shared among the members of society. Secondly, This provides no economic inducement to customers to limit their consumption of disposable cups, and thus their unbounded consumption can aggravate the negative impacts in society. The manufacturing and disposal of the paper cup have a two-fold societal impact, which impacts both local communities near extraction sites and society as a whole. The production of disposable cups requires extensive extraction of lumber in rural communities. Due to the more massive trees being cut down, the risk of floods and landslides is increased. People living nearby to such high-risk areas directly bare the cost of the single-use paper cups. 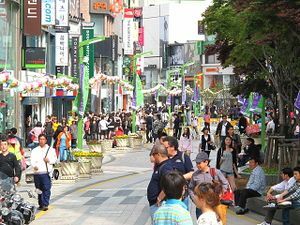 The conspicuous consumption of the resources these communities depend on for their lively-hood push communities to relocate into city centers where they are forced to find unsatisfactory employment. Many of these rural communities are groups of Indigenous People. Their native land and resources are taken away and thus they are deprived of their basic necessities . The widespread deforestation and environmental harm results in the loss of biodiversity and causes irreparable damage to society as a whole. As forests are home to wide range of organisms, fauna, and flora the destruction of their habitats contributes to their extinction. 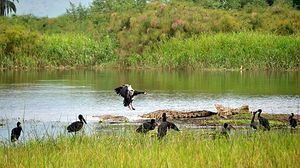 The survival of humanity depends solely on living organisms that provide environmental services support crop production, renewal of oxygen, predator control, and many other services that sustain human life. Although, the earth can sustain the population residing on it now the cost of the environmental damage will be paid by our future generations who cannot enjoy the sustainable earth as freely as past generations leading to crippling constraints. According to Ban Ki Moon, and UN Chief, “ there is no planet B” and therefore there is no backup plan for this degrading planet. Hence manufacturing of coffee cups needs to proceed in a more sustainable manner, which will minimize its costly social cost. Many countries around the world are implementing programs to reduce the environmental and social impacts of the single-use paper cups. For example, A pair of siblings invented the Keepcup in Melbourne, Australia. The Keepcup is a reusable coffee cup program that advocates for the reduction of disposable coffee cups. A study conducted by the University of Melbourne concluded that using the Keepcup once a day, for a year can reduce global warming by 92%. Not only can this deter global warming, but it can also reduce the use of water by 9%. Additionally, due to the reduction if the demand for paper cups and the raw materials required to make cups the study found a decrease in landslides by 95%. The keep cup is sold in over a thousand café’s in Australia. The company also has formed partnerships with universities in Australia to spread the awareness about the Keepcup initiative and educate students on their environmental footprint when purchasing coffee in paper cups. Germany has taken a similar approach to Australia and created their reusable cups program, called the Freiburg cup. The Freiburg up can last for over 400 uses, which renders the cup a long-term investment. As part of the program, local Café ’s have committed to washing and distributing services. According to another article, the citizens of Ireland participated in a poll, and 56% said that they want to ban single-use coffee cups.This notion shows that individuals are becoming more aware of the harmful effects of single-use coffee cups and want to see a change. The government of Ireland plans to spread more awareness about recycling disposable cups. This is great because individuals at a micro, interactional level want to make a positive difference, and the ones at macro level institutions understand what the population wants and are willing to implement programs to make their country better. In 2016, France made a law banning disposable cups. The ban will be implemented in 2020 and policy further stipulates coffee cup products must be made from over 50% biodegradable materials.By the year 2025, France hopes to increase the composition by 60% biodegradable materials. These laws are being past as part of a more substantial sustainability movement in France called “Energy For Transition, Green Growth Act" . This act was established to combat the effects of climate change. According to federal statistics, France threw away over a hundred and fifty coffee cups each second and the coffee cup waste was becoming a significant issue in their country which paved the way to banning disposable cups  . Not only did France ban single-use coffee cups, but they also banned plastic bags at grocery stores and other markets as well, ultimately trying to slow climate change. In regards to plastic bags, Bangladesh was the first country to ban plastic bags in 2002 . According to the same author, Mexico, South Africa, China, Rwanda and Kenya have also taken the approach to banning plastic bags. From these examples, we can conclude that there are solutions that are coming into effect from different countries. It is not only European countries or North American Countries. It is all types of different countries in the world that are trying to make this planet a healthier place. The emphasis is on plastic cups in this paper, but banning plastic bags shows that France is doing all the things that are needed to be done that to mitigate global warming and climate change. Education plays a crucial role in bringing change in any society. By educating the youth, the future use of coffee cups can be reduced significantly. The youth should be made aware of how much waste is being generated by the use of coffee cups and how the excessive use of coffee cups is degrading our planet. The province of British Columbia has an established a k-12 environmental learning curriculum that emphasizes critical actions to reduce greenhouse gas emissions and wise use of resources such as energy and water. Although the province has a curriculum in place, academic subjects often take precedence in classroom hours . We suggest that early education on sustainability must be a focal subject administered in the provincial education system due to the importance and time sensitivity of global warming. Students need to realize their real sense of responsibility towards the environment. Organizing street plays, posting banners, doing presentations can help to aware people about the destructive nature of these cups. Moreover, through the collaborative effort of Universities and the government, a greater deal of change can be expected to occur within our society. One may wonder who rules the earth and therefore who’s responsible for bringing initiating change. Governments must be the ones to initiate this change. We as citizens of this Earth are causing such a huge negative impact, and the government needs to apply laws and regulations. “Governments have the ultimate authority” and “…[they] rule the earth” , therefore they are capable of taking such measures. Firstly, the British Columbian government could enforce a tax on single-use coffee cups. According to CBC News, “Vancouverites throw out 2.6 million paper coffee cups every week”. Applying a tax of $0.05-$0.10 would not only further discourage people from ordering their coffee to go but it can also help with poverty rates in B.C. If the government is able to restrict the use to electronic devices on the road then they are for sure able to make it mandatory for citizens to own their own coffee mugs. It is the duty of a nation to “… hold its citizens accountable through rulemaking and enforcement” . Furthermore, by focusing on the principle of “ Polluters Pay”, national authorities can internalize the externality of the waste that arises from the cups. Taxes can be included on to the market prices of goods and services. However, it is often claimed that in a fast-growing world, curbing pollution or setting standards is often difficult and hence it will be demanding for the government to implement policies as it is quite time-consuming and expensive. Citizens of a nation must first hold themselves accountable and realize the damage they are causing, and then they must try to get their government involved because at the end of the day it is the government who can enforce laws and regulations. To further combat the systematic recycling issue, British Columbia would be wise to develop a closed-loop recycling system to increase recycling initiatives. A closed-loop recycling structure is a process where post-consumer waste is collected at local materials recovery facilities (MRF) and recycled to transform back into raw materials to be used to make new products. 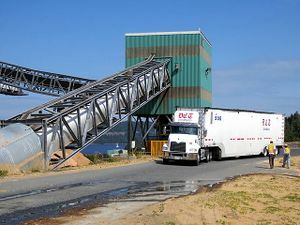 The province-wide installation of a closed-loop system will require a significant amount of capital and participation from government, consumers, corporations, and MRF . The capital investment will provide local communities with the financial support to build and expand recycling programs. The enhanced MRF will be equipped the infrastructure to process wide-range of consumer packaging like the coffee cup. With the suitable infrastructure in place, the province will see a decline in packaging waste that ends up in landfills and oceans preserving the environment. The influx of recycling in B.C. will lower raw material costs and incentivize corporations to purchase recycled materials rather than producing new materials. The fundamental challenge of the province-wide closed-loop program is financing the facilities. To obtain the venture capital to commence the program we suggest partnerships with consumer goods corporations like Walmart and venture capitalist to provide financing to local MRF. The venture is designed as return on investment program. The initial capital investment will go towards upgrading facilities with infrastructure that has capabilities in recycling a wide range of materials. As recycled raw materials become widely available, consumer goods companies will become incentivized to purchase the recycled raw materials from the recycling facilities, allowing the MRF to turn a profit and pay back capital to investors . Education systems like universities have several resources to bring awareness about global issues to the masses. University campuses are an effective communication channel to bring awareness to young adults who are entering the workforce . An article published by Megan Thomas illustrates the findings of a student-led campaign at the University of Victoria. The study found that over 3,000 coffee cups get thrown away daily on campus. They also petitioned students to use mugs as an alternative to paper cups . As a part of the petition, the students gave away free coffee to individuals who bought their own mug on a daily basis, to incentivize students to participate in the campaign, in order to seek free coffee. The author also suggested that a larger institution like the University of British Columbia would be wise to implement a similar campaign to address the issue of disposable cups . The awareness around the negative impact of paper cups is spreading to Canada’s top universities. Although the government British Columbia have not yet enacted any laws around the disposal cups, universities are taking the initiative to become more sustainable. We recommend more local universities should participate in these types of campaigns to increase education on the environmental impact of the cups< . As shown by several CBC news reports, once universities participate in sustainability-oriented projects local journalists and media outlets tend to shed light on these ideas so people who watch the news on a regular basis will receive this knowledge as well. The media exposure enhances university reputation and more likely to attract sustainability-minded individuals. By having the larger population exposed to these projects, more people are going to be aware of using reusable coffee cups, ultimately, resulting in better sustainability amongst our country . This paper commenced with a life cycle assessment of the single-use coffee cup which highlighted the three distinct stages of the production of a paper cup, extraction of raw materials, material processing and manufacturing, and disposal. The life cycle assessment provided an overview of the scale of the problem of the single-use coffee cups. Next, the ecological costs were analyzed in more depth, the environmental impact of the of the polyethylene layer and paper layer were individually discussed. Furthermore, this paper examined the change in consumer preferences to the increased reliance on the disposable paper cup and what that means for local communities and society as a whole. Although there is the societal benefit of convenience, the environment absorbs the negative impact of our lifestyle and the cost of these disposable cups are not paid by the consumers who contribute towards the waste. Lastly, this paper looks into examples of improvements from other parts of the world. The paper concludes with a four-part recommendation that draws from changes implemented globally. To reduce the ecological and social impact of the paper cup the first step is to solve the systematic recycling problem in British Columbia. Part one of the recommendation focuses on educating youth on the extensive amount of waste that is generated from single-use coffee cups and its impact on the environment. Part two, of the recommendations, suggest that the government should implement laws and regulations to discourage the use of disposable coffee cups and incentivize citizens to use reusable coffee mugs instead. Part three offers a closed-loop recycling strategy that requires venture capital to provide local communities with the financial support to build and expand recycling programs. lastly, Large-scale education institutions like universities have a significant influence on their neighboring communities and students who are the future of the workforce. Therefore we recommend universities in British Columbia should execute reusable coffee mug programs on campuses. Post image: By Dhscommtech via Wikimedia Commons. CC BY-SA 3.0.